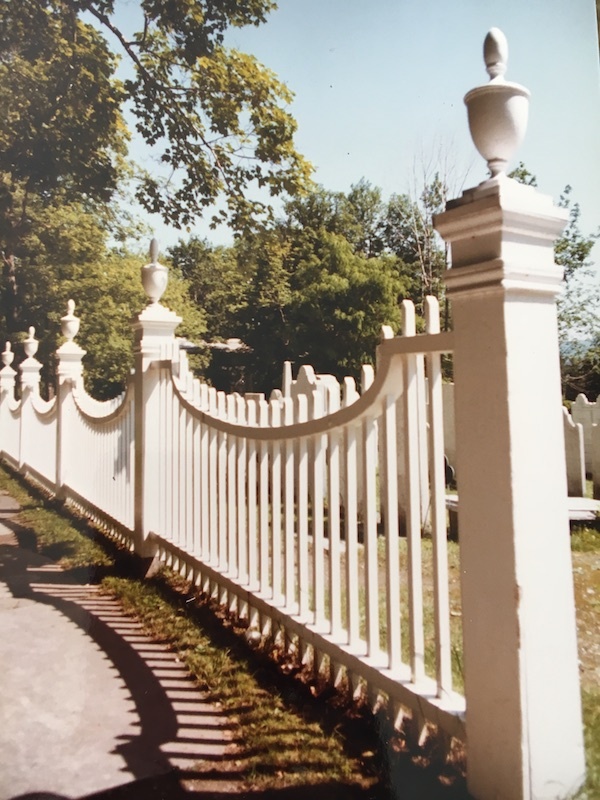 Photo of the cemetery where Robert Frost is buried, taken by the author’s father, Neil I. Cohen, on a family vacation in the 1980s. The first book I ever “read” was an illustrated copy of Robert Frost’s “Stopping By The Woods on A Snowy Evening.” I was three. My father, a college administrator, read it to me so often I had memorized not only the words, but when to turn the pages. One night before bed, I “read” it to him. My more grounded mother, a stay-at-home mom who had been a secretary before she had kids, had to disabuse him of the notion that I was actually reading. I placed my first two poems while I was still in college. I was compensated for neither, but I was not deterred. It would be twenty years before I placed anything else. My parents wouldn’t let me go to college in New York City so I waited two whole weeks after I graduated from George Mason University to move to the Upper West Side on my own dime. I had an internship at Celebrate Brooklyn, one of the longest-running outdoor music series in the country. It paid the exact amount I would need to sublet half of an acquaintance’s one-bedroom apartment for the summer. I got a second job waiting tables. All summer I worked seven days a week and subsisted on pasta from Costco, bagels from the ubiquitous bodegas, and my shift meal at the restaurant (almost always a burger, sometimes a salad). When the internship was over I got a job as the office manager at Mark Morris Dance Group. I still filled in at the restaurant on holiday weekends—those shifts were always slow, but a shift meal was a shift meal—which is how I ended up in a nearly empty bar, eating a chicken caesar salad with a side of fries on the night Princess Diana was killed. My roommate and I started a writing group. We did some readings around New York City, but no one was paying us for our poetry. I loved everything about New York City except the grocery stores. One night, on a visit to my boyfriend’s parents’ house in the suburbs, we went to a grocery store with aisles wide enough for two carts to pass each other, and I cracked. A former professor had an open position at a brand new performing arts center at the University of Maryland, so I moved to College Park. As soon I got there I missed everything about New York, including my boyfriend and bodegas. I lasted 13 months and moved back to New York as soon as I could. I took a job with an arts organization that put dance teachers into the New York City public schools. It was run by a big name in the dance world. He had a reputation for being eccentric, but everyone told me I was well-suited to work for him. I was not well-suited to work for him. Three months later I took a job at a music management agency. It’s the only time I ever worked in a for-profit environment in my adult life. I advanced tours for jazz and classical musicians. Everyone wanted a “nice” hotel room for under $100 a night. It seems 2000 was the exact moment when “nice” hotel rooms were no longer available for under $100. I disappointed a lot of famous people. It took four interviews on four successive Fridays in the summer of 2001 to land my next job as the Assistant Director of Education at Manhattan Theatre Club. Aside from supporting myself writing poetry, this was my dream job, and I was twenty-five years old. It was easy to think I was a hotshot and not someone who peaked too early. I loved my job. We brought playwriting into New York City public schools and onto Riker’s Island. I also ran an internship program that launched the careers of several major players in regional and New York City theatre, and I saw a lot of shows. Then I got married. The thought of raising a family in New York City, without mega-grocery stores and other suburban conveniences, seemed overwhelming. I transitioned out of arts education and into educational administration which would allow me a broader range of possibilities outside Manhattan. With questionable qualifications but the right skillset, I became the Director of Admission at a small graduate school on Manhattan’s far Upper West Side. I hadn’t become a poet, but at age thirty, I was a college administrator, just as my dad had been. Sadly, by this time my dad’s best days were behind him. After 26 years in the same job, he took early retirement and spent the next ten years trying to find another job in his field. He did a number of things while he waited—selling used cars, driving limousines, paralegal work—but slowly, like a king without a kingdom, he became someone else entirely. Just a month before I began my Master’s Degree in Higher Education Administration, he died, thousands of dollars in debt. I hadn’t earned a single cent from writing poetry and aside from contributing some pieces to my brother’s well-read, but now defunct blog (Uncle Grambo once referred to us as “America’s only brother-sister-right-coast-left-coast blogging team”) I wasn’t even writing, but I’d like to think my dad would have been proud of my graduate studies. In Lancaster, I have worked as the program director at Hillel of Franklin and Marshall College; as the assistant director of admission at private school; and now, I’m a secretary. I don’t know when the word secretary became a bad word. My mother was a secretary. Her work was important and she was good at it. In every role I’ve ever had, I’ve always known the value of a strong administrative backbone. It took me a while to make peace with my title (which is actually “administrative assistant”), but it took me no time at all to fall in love with my new life. In today’s 24-hour work culture, it’s been a gift to find a job where I don’t have to check my email from home and no one texts me with a problem at 9 p.m. that has to be solved before 9 a.m. My husband and I have made some changes and we’ve dipped into savings we had hoped to use for retirement, but it was a necessary move. The jobs I’ve had the last ten years have been all-consuming. They left no time or headspace for writing. Within a few weeks of becoming a secretary, I placed my first Op-Ed and the next month I got paid to write for the first time ever. So now I’m a secretary, like my mom, with a Master’s Degree, like my dad. I’m in an entry-level position after a 20-year career. I’m a Jew working at a Christian Seminary. I will never support myself writing poetry (it turns out, poetry is so much harder than Robert Frost and my dad made it seem), but I will write. My father’s faith in me was not ill-placed. Jamie Beth Cohen is a writer, social justice activist, and secretary. She writes about difficult things but her friends think she’s funny. This story is part of The Billfold’s Career History series.